From Fear to Fabulous is a full-on immersion retreat for busy women with something to say… only they’re just not saying it as well or with as much enjoyment and ease, as they’d like! You are reading this, because that speaks to you! My purpose for the retreat is to gently shift you from a place of speaking fear to a place of speaking fabulous! Your own kind of fabulousness that is. Not mine. Not whatever’s trending. You’ll be exploring the best style, words and voice to bring out your very best inner speaker. I’ll invite you to speak with your whole body, communicating with far more than mere words. You’ll be activating all your senses, playing with textures, contrasts, light and shade. Trying on new hats and new ways of being. After all, the point of leaving your home and work for 4 days is to focus on change. On changing something you’ve probably been unhappy with for a long time. You will begin a new relationship to the ancient art of “public speaking”. Naturally, public speaking is so much more than just a formal speech. Public Speaking occurs every time you have a conversation with anyone other than yourself. We’ll be speaking, listening, writing, thinking, laughing and relaxing throughout the Retreat. You'll be public speaking away without even realising it! If this sounds like something you desperately want in your life... read on! From Fear To Fabulous Retreat is a specialist retreat for 4-6 women only. I've designed this intimate immersion specifically to transform the personal and professional lives of women who avoid public speaking and who are missing out on new life and career opportunities. These high achieving, bold women in other areas of their life, are ready to cross the fear frontier and expand into saying, "Yes to..."
... speaking professionally and being paid and recognised for my contribution. Being able to speak from the heart with ease any where and any time is your best promotional tool… and best life tool. So why not make 2020 the year to finally free your inner speaker at our gentle women-only Retreat? All you have to do is press the "Pause Button" and let your inner speaker out to play. Be prepared to emerge radiant from your chrysalis, not shrinking, but seeking, speaking opportunities. For 4-6 women only, our intimate, safe and beautiful retreat package includes small group workshops, private coaching, queen room, all gourmet meals and optional retreat activities such as forest walks, yoga and dance. Everything about the 4 Day Retreat was superb! I loved all the little touches that added to the fun factor. And the Retreat was so practical, I got a great amount of time to experience really being a speaker. This was an excellent course for me. It covered exactly what I needed so I could overcome fear and learn some easy tools to calm myself, connect with my audience and also structure my message brilliantly. I believe I have changed for the better as a result of this Retreat, not just as a public speaker but also within myself. I feel more authentic. The Retreat is a journey of self evaluation that enables you to unlock the speaker within and gives you the tools, practice and confidence to become what you want to be. I felt really safe within the Retreat group & this definitely helped me to experiment & take risks which I wouldn’t ordinarily do. Celebration final night was really special… I felt the content was intense, but to a perfect level. This gives me plenty to work from. Geraldine’s facilitation is gentle, caring and completely without judgement so that you feel really “safe” to explore the public speaker within. I really appreciated the aspect of spiritual connection & feminine power that was underlying the content of the course. I won’t forget that & am certain that it is totally unique. Geraldine’s modelling, energy, intelligence, experience & raw presence is an inspiration & purely enjoyable. 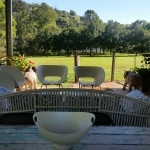 Our next Retreat is projected to be held in September / October 2020 in the Byron Bay hinterland. Sunday to Wednesday. 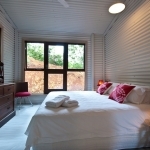 Our beautiful, newly re-built eco venue is called Gurragawee. "Gurragawee" is the sound the birds sing early in the morning. We have this private rural venue all to ourselves. We'll be well looked after by Gurragawee's owner, artist and cook extraordinaire, Kate LeMessurier. Gurragawee is approximately 15 minutes drive north from Ballina regional airport (NSW) and 65 minutes drive south from international Coolangatta (Gold Coast QLD) airport. 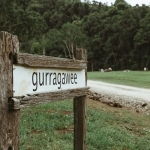 Gurragawee is 25 minutes drive south of the popular town of Byron Bay NSW. Who Should Attend The Public Speaking Goddess Retreat? YOU should attend the From Fear To Fabulous Retreat if you are a professional woman with speaking issues holding back your career or life. Our Retreat will give you the tools to speak with ease and authenticity in public. The From Fear To Fabulous Retreat is particularly suited for women who have been disappointed by other public speaking courses and frankly, are looking for so much more. Trembling knees and a voice saying "You are not good enough"? Standing your ground, saying "no" and speaking confidently off the cuff? Hiding behind a stiff, polished exterior and desperately wanting real connection? Being able to really enjoy and relax into the experience. Shine, rather than shrink? Having something to say... but lack the skill, structure and confidence to say it well? Know your career and life opportunities are suffering through avoidance and fear of public speaking? The Program will be further refined according to the needs of Participants (as explained in their Application Form). A 30 minute private and confidential consult is offered with Retreat Facilitator Geraldine, to each Participant. Optional Free Time is just that. 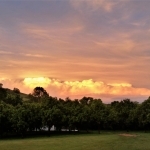 Participants can choose to take up an organised Activity or can choose to relax, write, read, prepare notes, walk, chat or gaze deeply at the beautiful views... "No Thinking Time" is vital to allow your brain to process new information and align mind, body and spirit into embodying your true "Public Speaking Goddess" nature!!! The entire Retreat will be conducted with respect and confidentiality for each Participant. General Techniques may be shared, Commercial In Confidence and information of a personal nature, may not. Ask if you are unsure. A sense of safety is paramount for trust to flourish. Thoughtful Introductions. Reframing “Public Speaking”. Video. Setting Intentions. Activating your Relaxation Response. Slow Yoga to Reconnect Mind & Body. Authentic Connection. Becoming Fully Present. Slowing Down. The Grand Art Of Pausing. What does your body & Voice Say? Is Anyone Listening? Video. Creating credibility & trust. Visualisation. Optional NIA Dance Class. Joy through personal expression. Spontaneous Fun. Wordplay. Who Are You? Your Story. Gracious Self Promotion Without “hard sell”. Crafting Compelling Self Intros. Creating a Speaker Bio That Doesn’t Make You Cringe. What Makes You & Your Service Different & Stand Out? A Presentation Structure That Works Every Time. Video. Surprise Evening Event. Compelling From Beginning To End. Holding The Space. Creating Your Setbacks Strategy. Trouble Shooting. Your Kind Of Leadership. Video. Action Plan. Celebratory Lunch. What you'll gain is FREEDOM. Freedom to grow, speak, lead. As a professional, you are a role-model for your work. Being able to articulate with presence, ease and authenticity who you are and what you stand for, allows you to communicate with integrity, whether one on one or with a group. At the From Fear To Fabulous Retreat, you'll learn to speak with relaxed, mindful authenticity and without fear. I invite you to see this Retreat as an opportunity to have a working-holiday, where you'll come away refreshed, inspired and skilled-up in the nicest possible tax-deductible way. Opportunities for yoga, reading, walks and nooks to curl up in. Oh, And Did I Mention The Extras? 100-page detailed Retreat Workbook of notes and templates. Clothes: Smart casual, exercise outfits, pyjamas, "professional-speaking outfit", walking shoes and something that makes you feel fabulous. Like a pair of golden wings. Other Stuff: Note pad and pen, any questions, scenarios and burning questions. Written stuff you might want to refer to. Business cards. Mobile: You will need to turn your phone off during all sessions and activities. This is a very hands on Retreat. 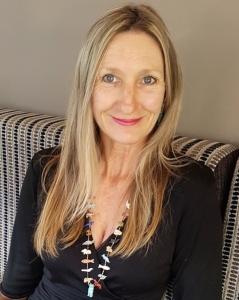 Our From Fear To Fabulous Public Speaking Retreat is facilitated by speaking coach, workshop leader and meditation teacher, Geraldine Barkworth. Geraldine is the director of Goddess Of Public Speaking, a specialist coaching and training business. We focus on creative techniques to overcome speaking fear, finding one’s authentic voice and crafting a meaningful message that gets remembered for the right reasons. 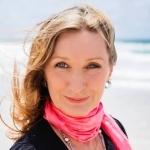 Although based in Byron Bay in Northern NSW Australia, thanks to online technology Geraldine works with professional women from all over the English speaking world. Geraldine says: "I'm a veteran attender of other people's workshops. It's pretty much an essential requirement of living in the Byron Bay area! I know exactly what I want and don't want and I've designed this immersion retreat to meet my high standards. I emphasise safety, personal expression (but not at the expense of the group), honesty, trust, respect, creativity, relaxation, strength, vulnerability, spaciousness, energy and wonder. We have structure and we have room to dance our own way." We offer 3 payment options for Public Speaking Goddess Retreat 2018. Numbers are capped at 6 bold women only to ensure there is generous time for everyone to be seen, heard and assisted. 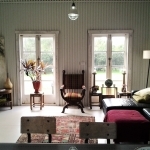 We also have exclusive use of this private, rural retreat, confidential and beautiful. Payment includes all retreat workshops, private coaching with Retreat Facilitator during the Retreat, a 30 Minute Speaking Emergency Consult after if needed, group telecall, all gourmet meals, queen accommodation and retreat activities such as dance, yoga and meditation, 100 page workbook of notes and templates... plus some surprising goodies. $1750 Residential: Payment In Full By August 1, 2020. $1850 Residential: Payment Via Instalment. 5 x $370 by August 1, 2020. $1450 Non-Residential: Full Payment By August 1, 2020. Of course, it goes almost without saying that first you must email Geraldine to check availability - there is a maximum of only 6 places. For option 2, a deposit of the first $370 will secure your place. (20% of the total). The next 4 instalments are to be paid each fortnight there after. You can pay online via our Shop with your credit card or you can ask Geraldine for an invoice to pay by electronic funds transfer. If you elect to pay by instalment and you do not complete all 5 payments of $370 by 31 July 2020, you will be contacted and advised that your payments will be refunded and your place given to some one else. Should you need to cancel your place before 1 July 2020, your payment will be refunded minus 10% for admin handling. For cancellations after 2 July 2020 there can be no refund. 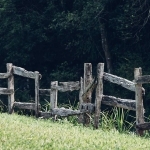 You may take 9 private coaching sessions with Geraldine in lieu of 50% Retreat payment. The other 50% for Venue cannot be refunded.